Dynafit TLT 7 Performance Review - Best Lightweight Backcountry Boot? Dynafit TLT 7 Performance Review. 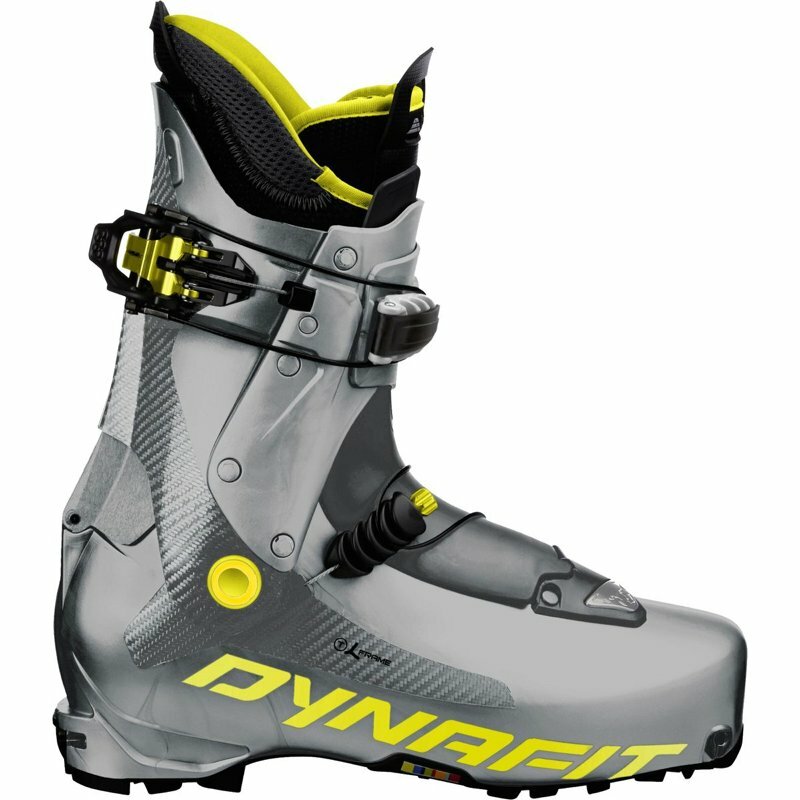 After skiing on the Dynafit TLT 7 Performance for two seasons, 136 days, I’m ready to review it. If you’ve read any of my other Boot Hell reviews, you know I don’t have an easy-to-fit foot. A little history first. My first AT boot was the Dynafit Tourlite All Terrain. I loved the boot and it fit my foot quite well. But after about 300 days, they were worn out. I tried the Scarpa Spirit 3. We did not get along. Then the Garmont Mega Ride. Great boot and it fit my foot after a big bulging punch in the 6th toe area on each boot. A few years later, my friend Tom showed up in the Tetons with the new Dynafit TLT 5 boot. I was impressed with the light weight. Within a week, I bought the TLT 5 Performance. I think it cost $1,000. I didn’t care. The weight was simply amazing. OK, light weight isn’t everything. But the TLT 5 had a lot more than light weight going for it. First, it had a flexible toe box and shortened toe block. Second, it had a removable tongue. With the tongue out, the boot walked more like a hiking boot than a ski boot. Third, it had 60 degrees cuff rotation. With the tongue out, the flexible and shortened toe block, and 60 degrees cuff rotation, the TLT 5 boot was a great backcountry boot. If you’re a backcountry skier, you spend 95% of your time hiking in your ski boots. It makes sense to use ski boots that are light and easy to hike in. When the TLT 5 came to market, I had never walked in a boot that had so much ankle flex. After a season in these boots, I realized that for skiing powder with 2-5 mile approaches, this was the best boot I’d ever owned. For the downhill, I’d slip in the removable tongue, and they skied like a much bigger, heavier boot. Certainly more than enough support for Teton Powder. The TLT 5 was a perfect, light, backcountry boot and I’d still be skiing in them…except they crushed my feet. I have 6th toe bunions and these boots killed in that area. Unfortunately, because of the flexible toe box, the TLT 5 couldn’t be punched where I needed it punched. I was crushed, literally and figuratively. I had found the perfect backcountry boot for the kind of skiing I do. But I had to sell them. They hurt my feet too much. The next season, I tried the TLT 6, but it was still too narrow for my foot. Plus, I was worried that if I punched the boot out to fit and it didn’t work, it would be hard to sell the $1,000 boot. Instead, I bought the Dynafit Mercury. It’s a bit wider and I had hoped it would walk as well as the TLT 5, but it didn’t. There was not as much ankle flex. And were they stiff. I never used the tongue in that boot, even when skiing at Targhee. Finally, the TLT 7 came out and it was rumored to be a few millimeters wider. I tried them on and they did feel wider, so I bought a pair. And now I have 136 days on them. I had them punched in the 6th toe area and now the boot is very comfortable on long days with long hikes. It’s very light. Match it with a light ski and you get an extra lap at the end of the day. I use the TLT 7 28.5 with a Dynafit Denali 176 and it weighs 6.1 lbs for boot and ski. The boot is easy for me to get on and off. It does not have a removable tongue, but walks just as well as the TLT 5. Dynafit removed the toe ledge completely and moved the hinge point back a few millimeters. The change makes it much easier to walk in these boots. The buckle system is the best I’ve seen; one two-part buckle at the top of the cuff handles both the lower closure and cuff. I hate fiddling with buckles. I have cold hands and always wear big mittens. I can easily work these buckles without removing my mittens. With the TLT 7, I buckle the lower closure when I put the boots on and buckle the top closure when I go down. The top buckle closes and locks the cuff in one movement. That’s it. I never have to adjust tension; the same setting works every day once you figure out what that is. And here’s a bonus feature: I can easily drive a 5 speed Honda Accord in these boots. Since it’s only 20 minutes to most trailheads, I put on my ski boots before I leave home and take them off when I get back. The power strap is easy to operate with mittens: you pull the strap to tighten it, and pull the strap buckle loop to loosen it. The downhill performance is great. These boots are very stiff for such a light boot and plenty stiff to ski steep powder or chowder. I’ve also skied them at the resort for a day or two. If you do a lot of resort days, this is not your boot. But if I’m on a ski trip and bring only one pair of boots and skis, they work fine. I’m not a hard charging skier jumping off cliffs or bashing moguls. Also, I’m 6 feet tall and weigh about 160 lbs. And I’m on Medicare. You get the idea. The liners on the TLT 7 Performance are thin. That’s one of the reasons they are so light. As a result, they are not very warm. If it’s colder than 15 degrees, I wear toe warmers stuck on the top of each foot, just above the toes. They keep my feet warm all day. Also, because the liners are thin, they are a little uncomfortable on my shins when skiing down on hard pack snow. I don’t notice it in powder. Tightening the power strap helps relieve the shin discomfort. The power straps loosen as you put a lot of pressure on them. For example, if you hit a big dip or bump, the force of that loosens the strap. Seems like a bug to me. I highly recommend this boot for backcountry skiing. As with anything very light, you pay a price in dollars and comfort. If you prefer a little more comfort, the TLT 7 Expedition is almost the exact same boot except not quite as stiff. It also has a thicker liner, so it will be warmer and probably more comfortable. Also, a thicker liner gives you more room to adjust for foot shape and bunions. The reason I did not get the Expedition is I didn’t think I’d have enough room in the forefoot area.